Cross country skiing is not a leisurely activity, and to compete in the sport at a high level, you need to vigorously train. 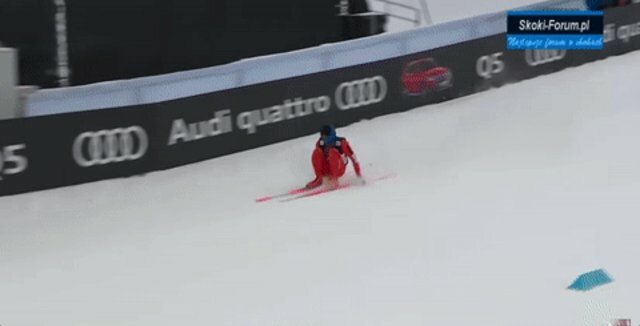 Adrian Solano, a Venezuelan who competed at the FIS Nordic World Ski Championships in Lathi, Finland, perfectly exemplifies this, as he wobbled and crawled through the course like a baby giraffe on roller skates. The internet has deemed Solano “the world’s worst skier,” and judging by his inability to actually ski, the characterization is quite apt. But his paltry performance in the qualifying event is not entirely Solano’s fault. According to the BBC, Solano’s debut at the Nordic World Ski Championships was the first time he’s ever skied on snow. That clearly presented a problem, because skis and snow need each other to exist. Solano trained for the competition on wheels back home in Venezuela. He tried to acclimate to skiing on snow a month before the competition, but authorities in France prevented him from reaching Scandinavia, where he was supposed to train. "I told them that we train on wheels,” he told AFP. “I only had 28 euros with me and the police accused me of trying to immigrate because things were going badly in my country...I missed a month of practice on the snow. But I am still trying because this is my dream." While he didn’t finish the race -- he unsurprisingly placed 156th out of 156 competitors -- Solano won a gold medal in the Meme Olympics. He definitely deserves a shot next year.